Florida active adults looking for a great age-restricted or age-targeted community should consider one of the many communities in Palm Beach County. There are sunny beaches, tranquil lakes, varied attractions and endless entertainment opportunities spread throughout Palm Beach County. Most of the active adult communities in the area offer well-built, low-maintenance homes along with great resort-style amenities. Some of the more notable Palm Beach County active adult communities include Huntington Lakes, Winston Trails, The Cascades and Valencia Isles. The weather in Palm Beach County is certainly a draw for many active adult retirees. The winters maintain a daytime average temperature of 74 degrees, while an average summer day will reach 90 degrees. There is plenty of sunshine year-round, making Palm Beach County an ideal location for those who enjoy outdoor recreation. 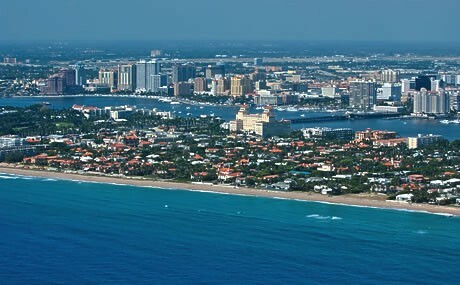 Palm Beach County is one of Florida's largest counties. It spans 1,971 square miles of land, not including its 488,000-acre Lake Okeechobee. This diverse county includes a 45-mile stretch of coastal shoreline known as the Gold Coast, as well as the lush Loxahatchee National Wildlife Refuge. In fact, Palm Beach County is larger than two states: Delaware and Rhode Island. By population, Palm Beach County is Florida's third largest county. Its boundaries enclose many popular destinations such as West Palm Beach, Boca Raton, Boynton Beach, Delray Beach and Wellington. The eastern portions of Palm Beach County support thriving urban centers, while its central and western areas provide more rural or suburban settings. Many recreational and cultural attractions are found throughout Palm Beach County. There are numerous parks, hiking trails and beaches. Residents and visitors enjoy prime fishing, water sports and other outdoor activities. The area has also been called the "Golf Capital of the World" as it offers more than 150 public and private golf courses. Active adults living in Palm Beach County have access to endless choices for entertainment. Some of the more notable attractions in the area include the South Florida Science Museum, Mounts Botanical Garden, Norton Museum of Art, and Kravis Center for the Performing Arts. Retirees and active adults looking to further their education can select from numerous colleges and universities in the area that offer continuing education courses such as Florida Atlantic University, Palm Beach State College, and Northwood University. Sports fans will enjoy all the action that comes through Palm Beach County including baseball spring training for the Miami Marlins and the St. Louis Cardinals as well as the PGA Tour. Those looking to enjoy recreation inside their community have many options. As one of Boynton Beach s largest age-restricted communities, Palm Isles boasts a 50,000 square-foot clubhouse, tennis courts, and fitness facilities. An activities director is also on staff at the community to ensure residents have a full calendar of events they can attend such as card clubs, creative writing, movie society, dance classes, and computer club. The cost of living in Palm Beach County is just above the national average. The state enforces a sales tax of 6% on all goods sold. While property taxes are among the highest in the country, there are several exemptions. One exemption that may catch the eye of Florida active adults is the Senior Citizen Exemption. This exemption is available in certain counties only and is valued up to $50,000 for residents 65 and older with a gross income below $20,000. The median home cost in Palm Beach County is $142,800. Active adults concerned about the level of healthcare in Palm Beach County can rest assured they are in a great area. There are numerous hospitals and medical centers in the area offering world-class healthcare. The John F. Kennedy Medical Center in West Palm Beach is one of the top cardiovascular hospitals in the country. They also offer excellent care in the way of emergency services and orthopedics.